Thunderbolt Monitor is a stand-alone microprocessor-controlled LCD specifically for Trimble’s Thunderbolt disciplined clock, providing a comprehensive indication of the Thunderbolt’s status, modes, and alarm conditions. The data packets appearing on the Thunderbolt’s serial port are in Trimble Standard Interface Protocol (TSIP), not NMEA sentences, so this display will not work with NMEA GPS units, such as Trimble’s Jupiter or any other NMEA based GPS. Ideal for amateur radio applications, Thunderbolt Display shows Time Of Day (UTC) to assist with logging contacts, and also calculates Maidenhead Grid Locator Square from the current latitude and longitude. You could also use it as a NTP source during your field day activities. 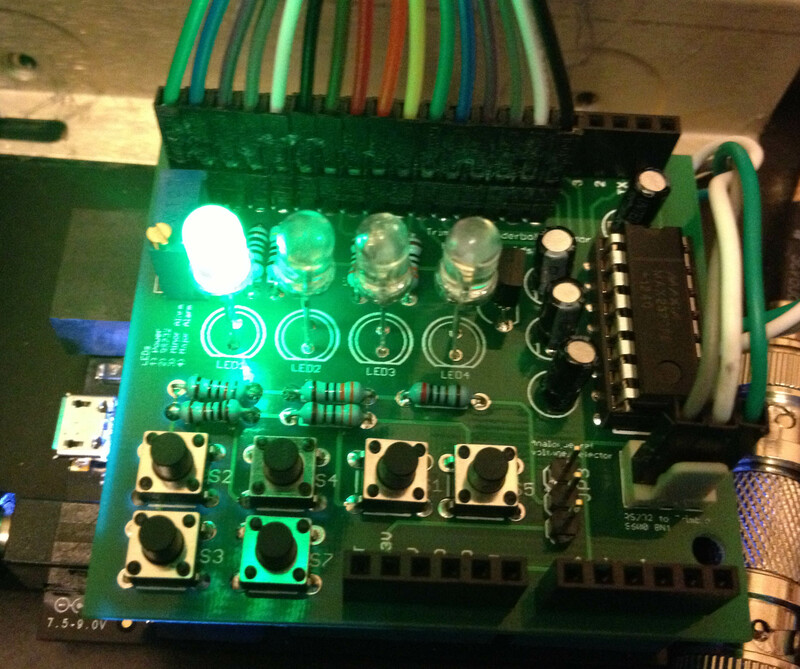 NEW: Version 1.1 has been amended to allow the LEDs and buttons to be connected via headers which is much more suitable for people building these into enclosures. The picture here is of version 1.0 without this enhancement. You will need to purchase a Netduino Plus 2 and a Trimble Thunderbolt to make use of this kit. 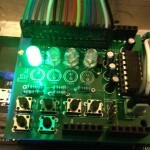 Kits are not currently available but PCBs have been made available for those who wish to source their own components. Error: Shown when no data is being received. This is an example of a screen from my Thunderbolt Monitor. You can download the latest manual here. For inspiration on how you can use your new Thunderbolt Monitor, see what others have done with it in the builders gallery.